Today, we shine our Hollywood Spotlight on the beloved Jeremy Renner. He’s handsome, talented, and down to earth. How can we not absolutely adore him! 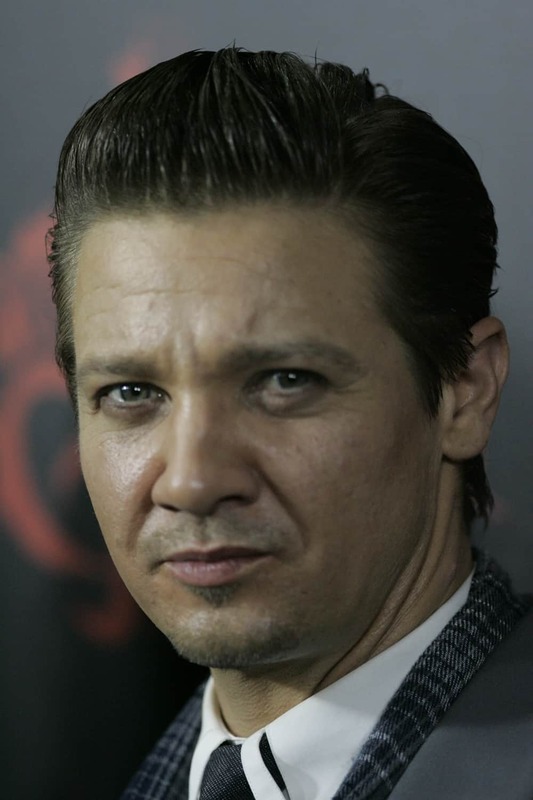 Before becoming one of Hollywood’s most famous celebrities, Jeremy Renner began his Hollywood career in independent films until he was cast in S.W.A.T. (2003), starring Samuel L. Jackson and Colin Farrell. Only five years later, he portrayed Staff Sergeant William James in the universally acclaimed Iraqi War movie, The Hurt Locker (2008). Renner’s acting skills in the difficult role earned him an Academy Award Nomination for Best Actor. Only two years later, he received another Oscar nod for Best Supporting Actor for his intense role in The Town (2010). Already on his way to becoming a famous action star, Mr. Renner was about to sign up for a part that would forever change the course of his career. In the Marvel Cinematic Universe, Jeremy Renner had a small cameo as Clint Barton, a spy and archer for S.H.I.E.L.D, in Thor (2011). Devotees of the comic books and franchise knew that the character of Clint would evolve into Hawkeye, a superhero with incredible archery skills. Audiences got to learn more about the superhero in The Avengers (2012), in which Renner’s Hawkeye was one of the main characters. Since that cameo performance in 2011, Renner has gone on to star in other Avengers movies, including Avengers: Age of Ultron (2015) and Captain America: Civil War. Thanks to the success of the Marvel Cinematic Universe and The Avengers, Mr. Renner is one of the busiest stars in Hollywood. Some of his other films include: North Country (2005), 28 Weeks Later (2007), The Assassination of Jesse James by the Coward Robert Ford (2007), Mission: Impossible – Ghost Protocol (2011), The Bourne Legacy (2012), Hansel & Gretel: Witch Hunters (2013), American Hustle (2013), Mission: Impossible – Rogue Nation (2015), Arrival (2016), Wind River (2017), and The House (2017). Jeremy Renner’s skills are not limited to silver screen. This multifaceted celebrity is also a singer, musician, and songwriter. Though a drummer at heart, he also plays the guitar and piano. In fact, he has recorded an album that he hopes to release soon. Though acting and music keep him quite busy, he also has a passion for restoring and flipping houses, a venture in which he has been quite successful. Plus, on top of it all he’s a Dad. Now we love him even more! On May 4, 2018, Hawkeye will make his return to theaters in Avengers: Infinity Wars (2018) and he is also slated to be in the as yet untitled Avengers movie scheduled for release in 2019. To date, there are no known plans to release a Marvel Universe Hawkeye movie but, rumor has it, Jeremy Renner would be excited and up for the task. Fingers crossed!